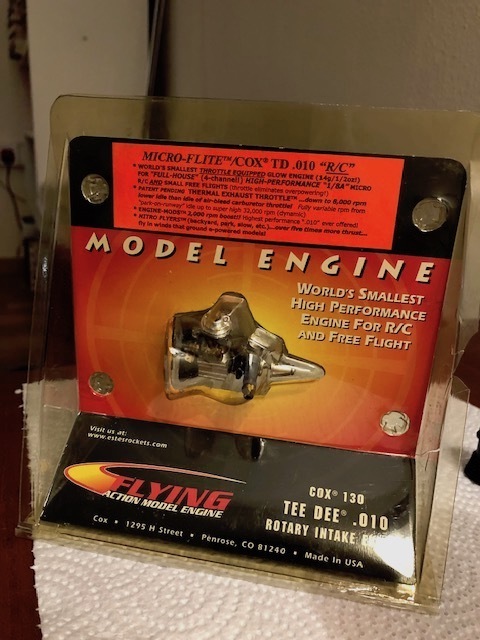 Got from eBay "Micro-Flite TD RC 0.010"
It has RC throttle control made out of copper sheets. Nice !! You don't see this rare one much , There is one other person on here that i know of that has the PET EHX. 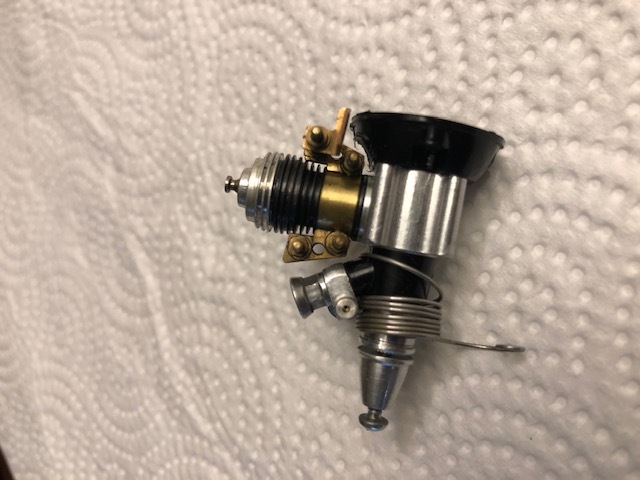 system Throttle , Don't remember what size it was for right off . SCORE !! Can't control myself, took it out from the plastic pack. getback wrote: Nice !! You don't see this rare one much , There is one other person on here that i know of that has the PET EHX. 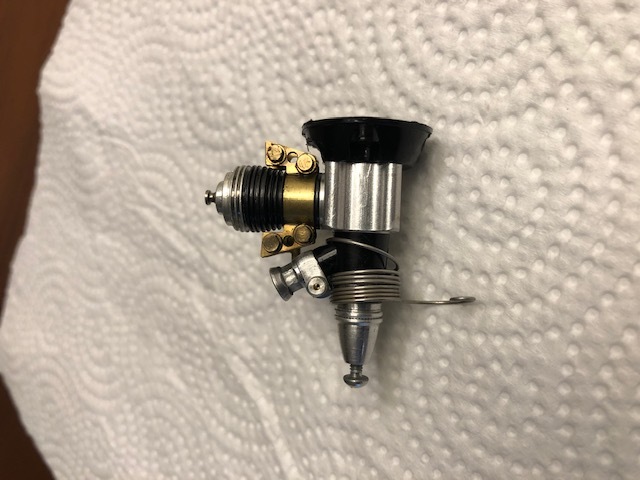 system Throttle , Don't remember what size it was for right off . SCORE !! What is top & least RPM? A TeeDee010 easily maxes out on a bench around 27k with 30% nitro in the fuel. 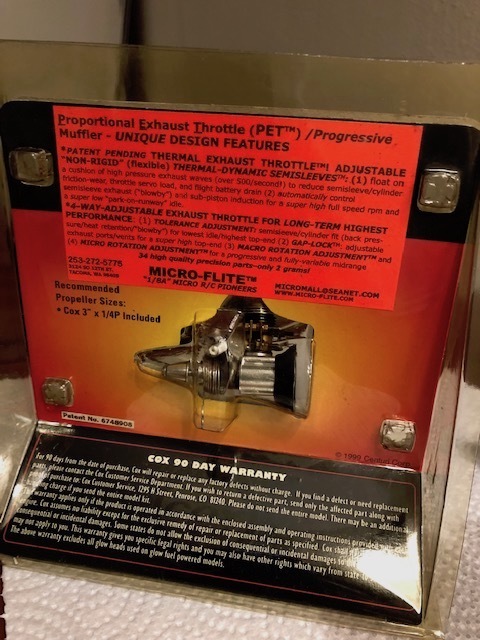 The PET allows around 10-12k+ idle if the small hex bolts are properly set. The inventor claims in his book 6-8k idle that I have never been able to reach.